1. Mini Smudge Sticks, available at Toast. 2. Organic Natural Dry Hair Powder from kaufmann-mercantile.com. 3. Hugo Guinness for coach.com. 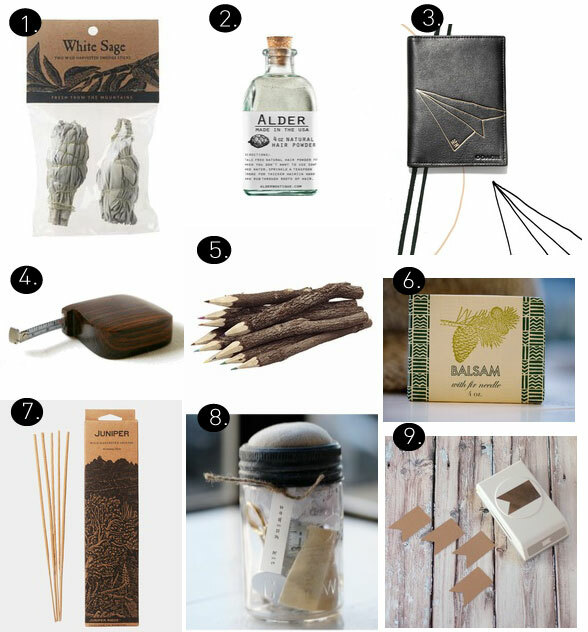 I love this gift guide...everything is so naturally beautiful! Love the twig pencils! Great gift guide!